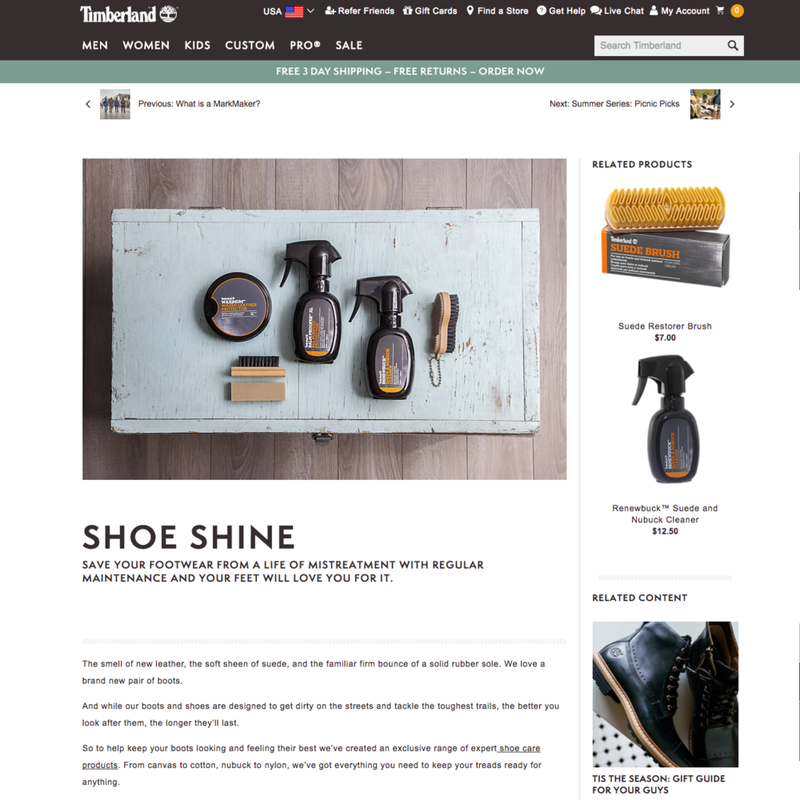 Timberland is a global fashion brand specialising in urban and outdoor wear. The Modern Trail is a marketing and customer engagement exercise encouraging people to explore and embark on new adventures, be they off the beaten path or close to home. 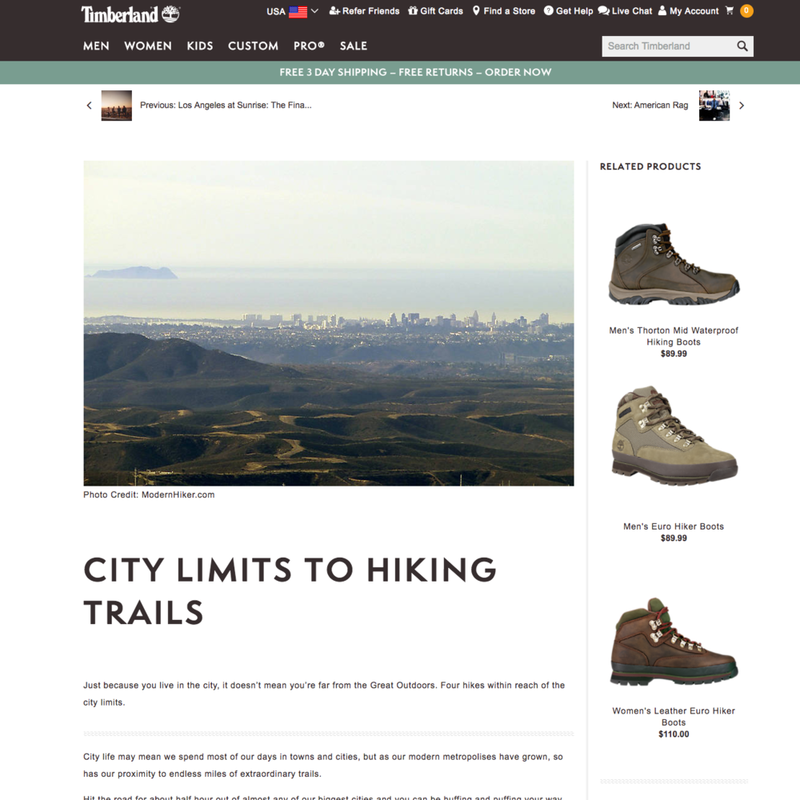 Content agency Mediablaze engaged me on a three month contract to write and commission articles for Timberland's new brand, The Modern Trail. I wrote features on fashion, travel and history, commissioned and edited features, interviews and articles from freelancers around the world, and created client presentations to pitch for new work. I also researched and found 'MarkMakers' - every day people doing amazing things who were approached to become Modern Trail ambassadors.